It’s hard to imagine a picnic without cheese, but when you’re going to be out all day in the sun, you should choose wisely. I’m sure you don’t want your painstakingly selected cheese to end up as a runny mess! Taking into account how long the cheese will be away from refrigeration, how hot the weather is and how the cheeses will be transported are key. Of course, choosing top quality tasty cheeses are crucial too! 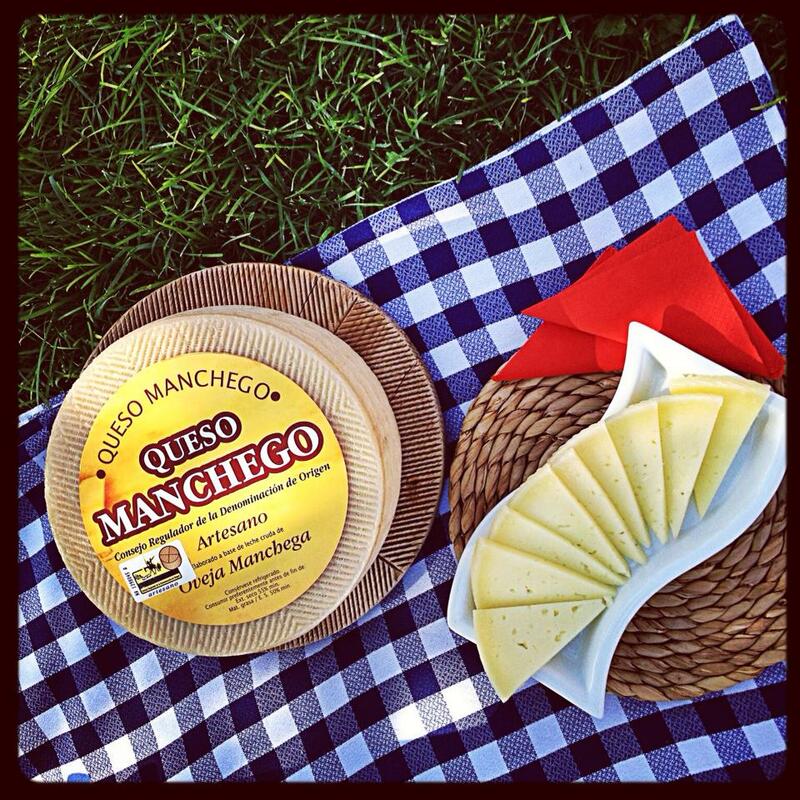 Firm cheeses like Manchego do well in the wilderness. They’re quite resistant to the heat, easy to eat and combine well with a wide variety of simple foods. Make sure to pack your cheeses correctly. My favorite way of doing so is using individual airtight containers, just a little bigger than the cheese. Separating each cheese will prevent you from mixing the flavors so I’ll rather use separate containers than mixing all the cheeses in one. Forget complex dishes and reach for simple yet tasty foods. Manchego cheese, a selection of sliced meats such as Serrano ham, “chorizo” or “salchichón”, some sturdy fruit such as apples or, better yet, a small container of jam or “dulce de membrillo”, and a fresh loafer of bread with raisins, nuts and seeds, are almost all you need for the perfect picnic lunch. Last but not least, make sure not to forget the wine. After all, is there a better way to relax than savoring a glass of wine with your picnic cheese menu?